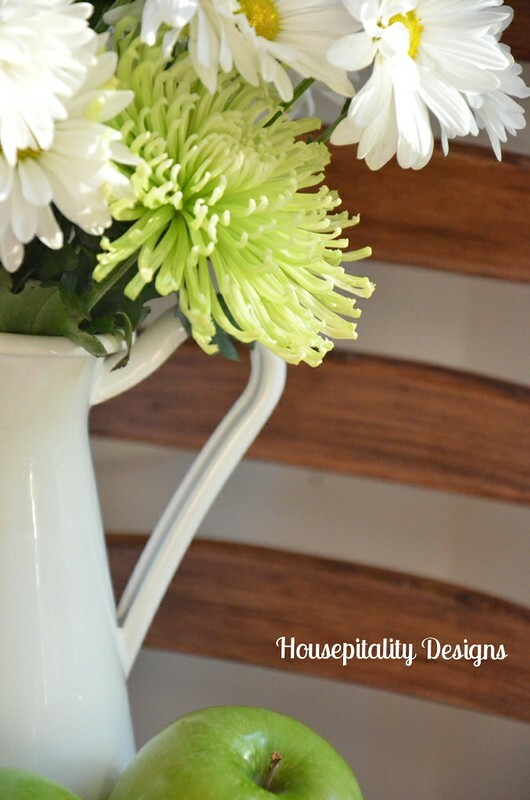 Bar Stool Fabric Makeover and Two Hometalk Bloggers Meetups! You can see the fabric choices in the original post here. 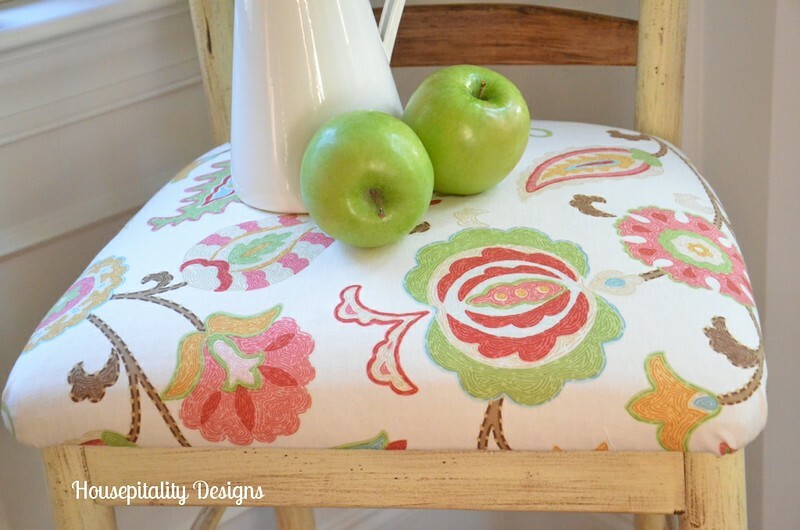 The fabric is a faux crewel design by Braemore..
…..which goes well with the fabric. The enamel pitcher is from Ikea. So thank you all for your input on the fabric choice for the barstool!! 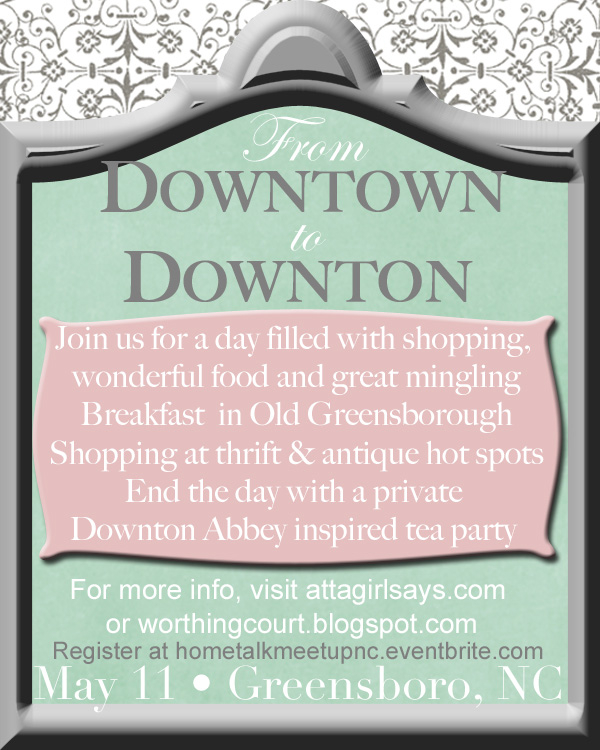 I am making plans to attend two fantastic HOMETALK MEETUPS!! 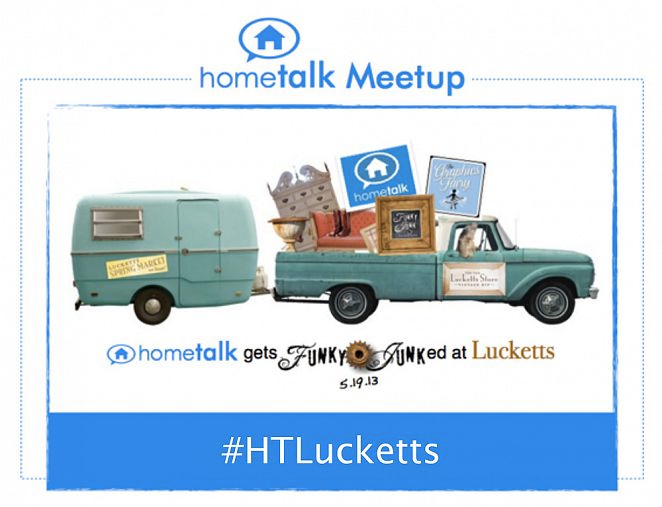 …..a great day planned with lots of great places to visit and of course places to eat..
And then….on Sunday, May 19th, I will be attending the HOMETALK MEETUP AT LUCKETTS!! 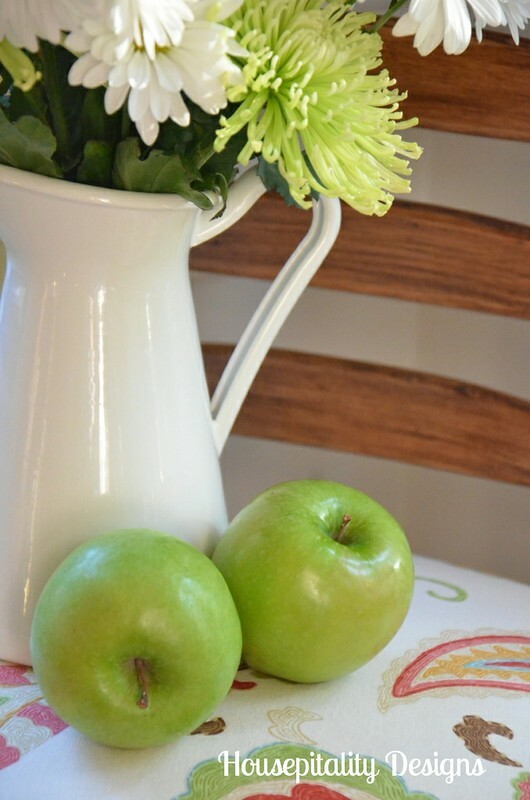 …..a place you must visit if you are ever in the Leesburg, Virginia area! At the Lucketts Spring Market you will see fabulous vendors like Marian, of Miss Mustard Seed. 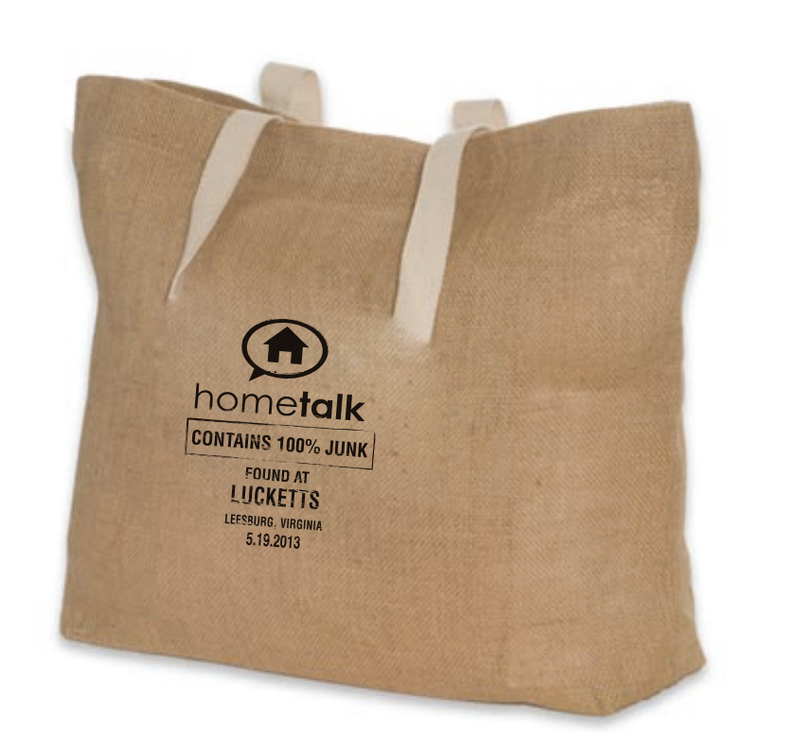 Hometalk is also giving away an expense paid trip to Lucketts to a very lucky winner!! How great is that??!! What a great tote bag!..and I love the mention of “junk” on the bag…. ……….and along with Donna you will be able to meet the fantastic Miriam of Hometalk! I am so very excited to be able to attend this event! Love the barstools. The fabric was the one I picked, it makes me smile. What fun! I’d love to attend Luckett’s bash! Where are all of our west coast meet up organizers? Wish I knew them! I used to visit my daughter in the Leesburg area, before I ever heard about Luckett’s. One day. Guess I have to count my west coast blessings! Enjoy it all, Shirley!! Oh they turned out excellent! They have all the right colors- great choice! I love the new fabric. Your bar stools are beautiful, Shirley. The event sounds like lots of fun. I am excited to hear about it and see the photos. I came by to have another look at your silk flower arrangement post. I bought good silks yesterday and will be working on a new coffee table arrangement. I just love that fabric and would love to use something bright and perky like that in one of my rooms. Do you know what it’s called? I looked at Braemore fabrics and didn’t see that one. You lucky duck!!!!! You’ve got all sorts of fun events coming up!!! I wish I could attend! It all sounds like loads of fun!!! Yippeeeeeee!!! The chair fabric is A-1!!!! Just LOOK at the beautiful colors in that fabric!!!!!! You are going to have such great fun….I wish I was able to attend…JEALOUS! Love the fabric that you chose they look great! Have fun. 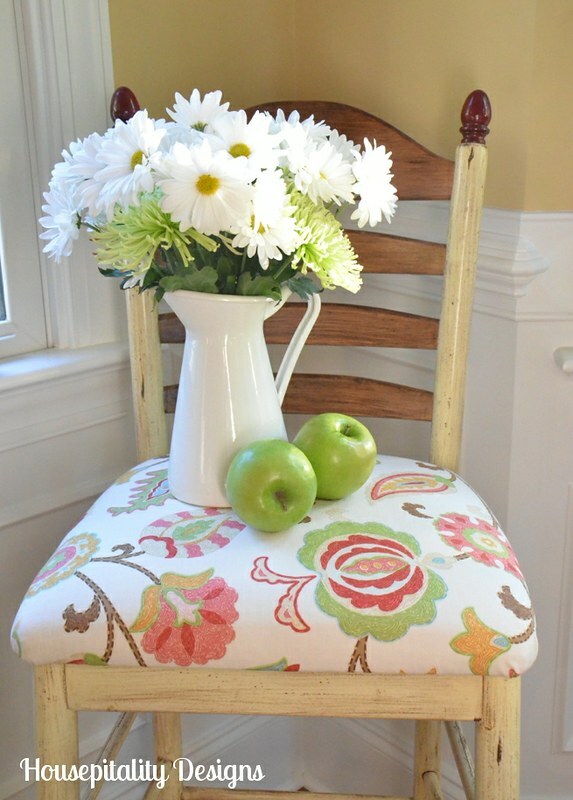 Love the fabric on the stools and have fun at both events. I will think about you. Shirley, I didn’t realize you were going to the NC meetup as well – wow! Busy two weeks for you. Can’t WAIT to meet you at Lucketts! 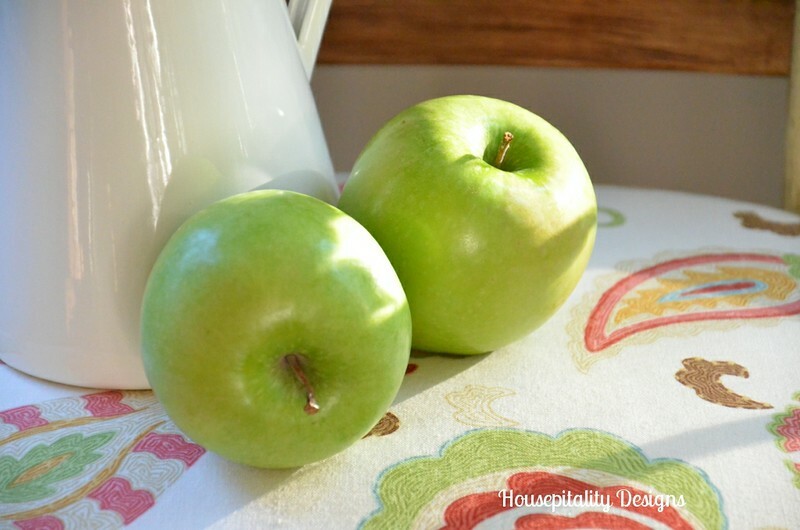 South Shore Decorating Blog’s recent post…Can You Believe I Have Pinterest Board with 1200 Pins??? Shirley, I love the fabric on your bar stools! It’s so cheerful! Have fun at Luckett’s! It sounds like it will be a blast! I love the bag too! I’ll watch for pictures! Love your fabric choice Shirley! 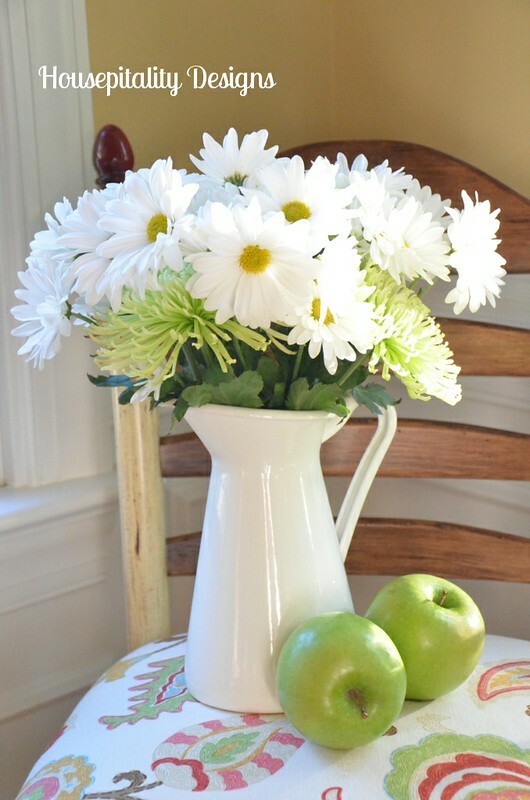 The enamel pitcher paired with apples is wonderful too! Have fun in Greensboro~ would love to go to Lucketts sometime! Great choice, Shirley — the barstools are perfection now! Have fun at your HomeTalk meet ups! I’m looking forward to school ending so I can participate in more things like that. Cute fabric! So fresh and pretty. Wow, they turned out beautiful and everything you placed to compliment that beautiful fabric is absolutely perfect. Love your blog. How did I miss this ~ beautiful choice, your stools look so nice! Mine are on my list, too!